Made from Rocks or Blood? An online website provides copies of historical children’s school essays from nearby Ardfield National School, which describes much of the local folklore of the Ardfield area. In the C20th, this has helped to capture a lot of the legends and stories still known to the older generation. One boy relates the story of how Red Strand got it’s name, from a big fight or battle. There are also stories relating to the old castles that used to occupy the peninsulas, so it is possible the beach was a place for a number of bloody skirmishes. However, from a geologist’s perspective, it could equally be the colour of the sand. It is not entirely red, but a warmer orange-brown in the sunlight; distinguishing Red Strand from the white beaches of nearby Inchydoney. Over time, it has probably been a combination of both. Red Strand sits in a small bay between Dunowen Head in the east and Galley Head in the west. 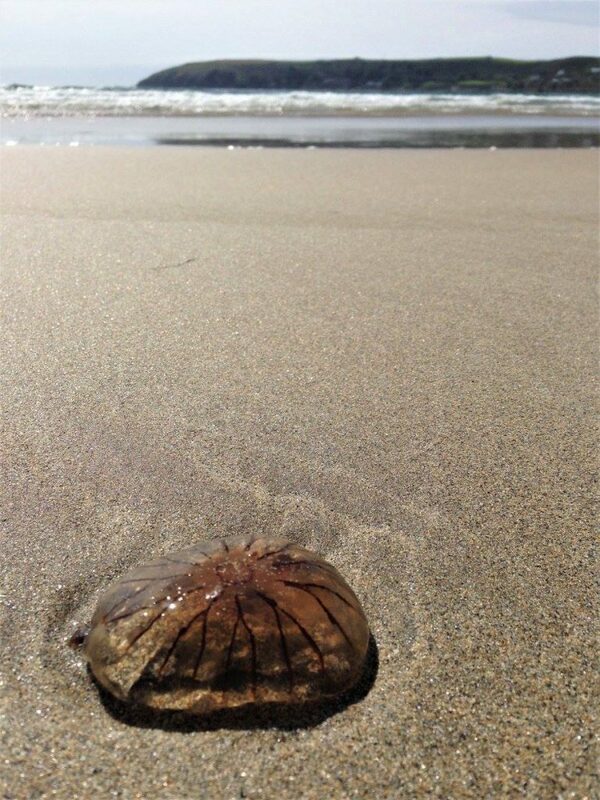 At low tide, it provides a beautiful flat sandy beach, ideal for ball games, walking the dog or a family day out. This makes the beach highly popular in the height of summer; less crowded than the more popular and well-known beach at Inchydoney. The shallow sea makes it safe for bathing and surfing beginners, although a number of storm-chasing surfers were reported riding the mountainous waves generated by post-hurricane “Ophelia”. 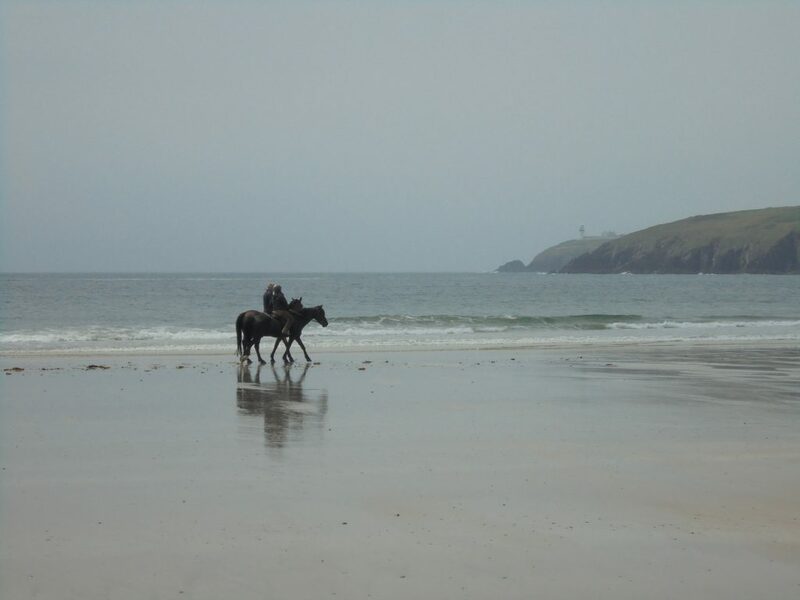 The nearby Dunowen stables provide horse rides on the beach. Visitors to Ballynoe House may wish to take advantage of this amenity. Guests may be able to acquaint themselves with some of horses who can occasionally graze the paddock at Ballynoe House. Even out of season, the beach provides great sunset views and photography towards the Galley Head lighthouse. 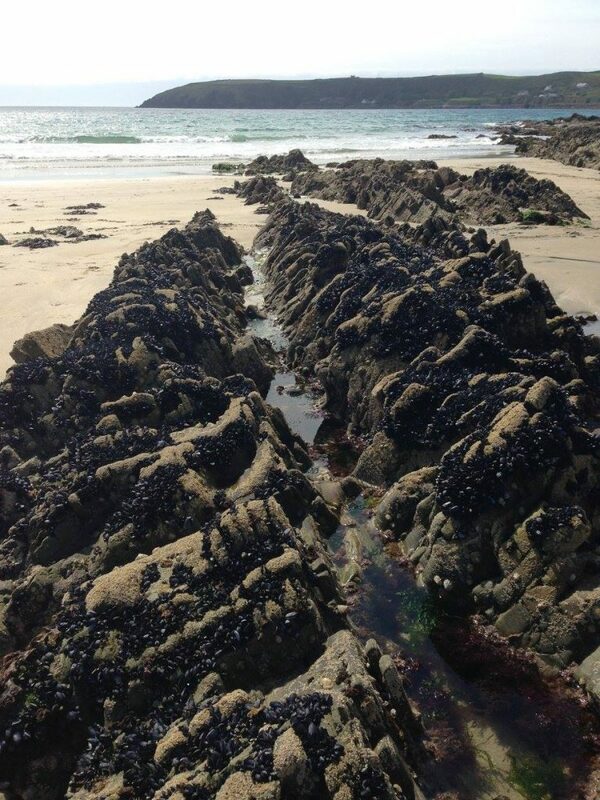 Rock Pools at the western end of Red Strand provide some marine interest all year round. Red Strand is about 15 minutes walk from Ballynoe House along the coast road, or just two minutes by car.